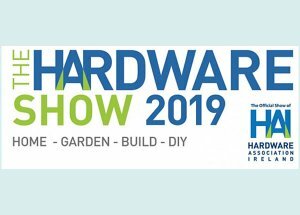 W.Howard will be attending the 2019 Irish Hardware Show in Dublin, Ireland.As the official show of the Hardware Association Ireland, the Hardware Show 2019 is the leading show for merchants and retailers across Ireland. Exhibitors cover a wide range of home, garden, trade and DIY sectors. This year, the two-day event will see more than 160 exhibitors meeting with visitors from across the industry. W.Howard will be showing visitors its premier KOTA range of MDF mouldings. Factory finished and impact resistant, KOTA requires no additional painting or finishing, saving tradespeople time and money on site. Designed to be durable and colour consistent, KOTA uses advanced Eastman Cerfis technology to create mouldings with a unique, white smooth coating at the factory, giving a perfect finish every time. Also on display on the company’s stand will be new products to the Irish market from W.Howard’s contemporary and period ranges, giving merchants and retailers access to hundreds of profiles, so they can always find a product to suit any customer requirements.